Fix your chimney as soon as you notice any irregularities to prevent more significant problems from developing. Postponing any chimney repair work will only cost you more in the long run. You can always rely on experienced chimney technicians and masonry professionals at Chimney Repair NY to identify the problem quickly and fix it affordably. 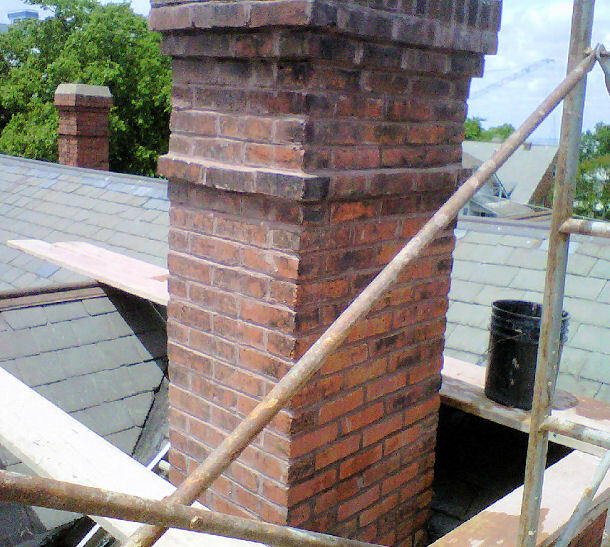 We fix all types of chimneys like manufactured, factory, or masonry chimneys. Masonry chimneys that we fix include brick, concrete, stone, or clay. Call us today 1-877-952-7425 to fix your chimney flashing, flue, crown, cap, chimney lining, or fireplace and chimney cracks or leaks. We fix all chimneys for residential homes, homeowners associations (HOA), apartment buildings, brownstones, and commercial buildings. After year round natural exposure conditions and freeze and thaw cycles, you may notice cracks in the brick or cement of your chimney. Contact a certified chimney professional as soon as you notice any chimney or fireplace cracks to avoid hazardous chimney threats like gas leaks, carbon monoxide poisoning, fire hazards, loose or falling bricks, and collapsing chimneys. Fixing a chimney problem sooner than later will guarantee safety for you and your family. A well maintained chimney can make all the difference in the effective performance of a fireplace. Call 1-877-952-7425 or request a Free Chimney Quote today for help with your chimney, fireplace, or wood stove.